Bolina Responsive blogger template is a first blogspot theme that work solely on shortcut codes. It is a multipurpose blogspot theme. Bolina Responsive blogger template is a first blogspot theme that work solely on shortcut codes. It is a multipurpose blogspot theme which is ideal for traveling, blogging, photography, technology, personal and indeed a fashion blog site. It comes with three different demo layouts. All you need to choose the desire ones which look a perfect choice for your blogger site. Bolina is purely adopted from Html5 theme and become a dynamic, SEO friendly and awesome design blogger template of 2016. It has advance features like, shortcut codes, auto sliders and dynamic homepage layouts. All these features makes it unique and professional template. Apart from these, Bolina is coded wisely, So you can customize this theme to develop your own design for a site. 100% Responsive Mobile Layout: Like Brandx Blogger Template Bolina is fully responsive layout theme that can be easily access through various devices like tablet, iphone, mobile and PC.A responsive theme is one which can give exact resolution on any device. 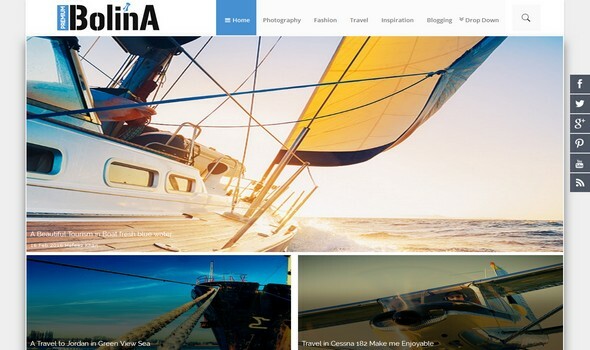 Layout: Bolina is a premium blogspot theme which comes with three different layout interfaces. Each layout is different from other and different style like business theme. you can download this template in three xml files of your choice.. Shortcut codes: To display some sections of contents in this template, you have to add shortcut codes to start display the sections like, editor choice, latest posts and feature posts. for more info check documentation file. SEO Friendly Template: You don't need to hire SEO expert for your blog. 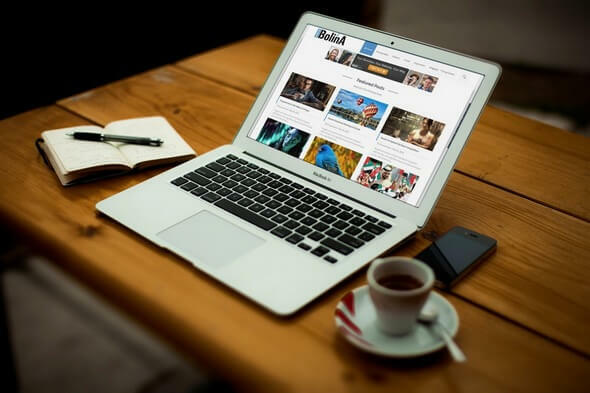 Just download this theme and make your site super SEO friendly. This theme comes with lot of SEO options and much mores like wepress template . Already have setup headline heading, schema org integration, light weight scripts and error free coding. Navigation: A navigation is a part of template that help user to navigate the site easily. we have added a responsive navigation menu at the top of wrapper like horsemag blogger theme. All you only need to add your site links or label links. 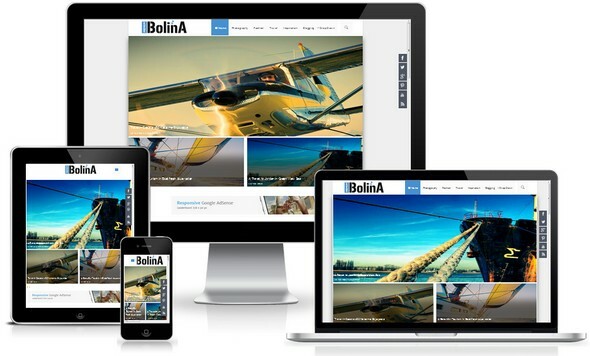 check documentation how to add links to the menu of bolina template. Labels : Label and category both words have same meaning in Blogger. we assign label to every single post right ? So you can assign label to post and these are start showing up either at right side of a blog or below every post. we have customized the style of label to make its design unique. Ads Ready: You can easily activate 728x90 ad banner at the top of a blog from dashboard layout option. To add more ad slots contact us for help. 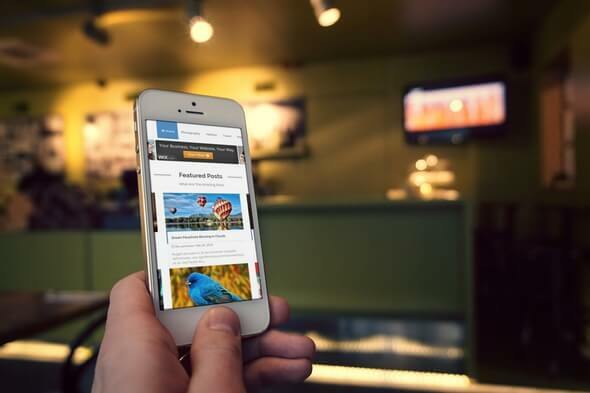 Slideshow: Slideshow bring extra exposure in your blog design. Since, we have have added a jquery less coding slideshow which work completely on labels. All you need to add a label name to the slideshow widget and posts will start showing up. 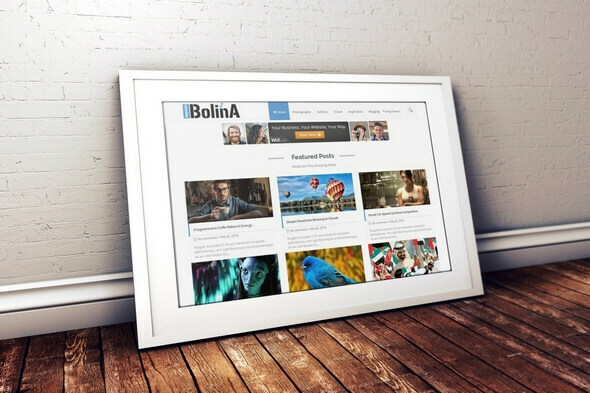 We are really hopping that Bolina Blogger Template will bring extra exposure in your blogger site. This our latest and perfect choice for all those who are still looking for a complete multipurpose blogger template of 2016.